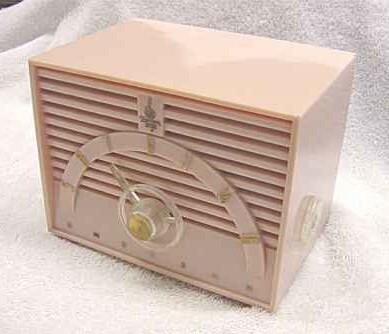 Like new pink Bakelite mini with cord still wound up with the tags still on it. Plays well. You are visitor number 2,775 to this page.